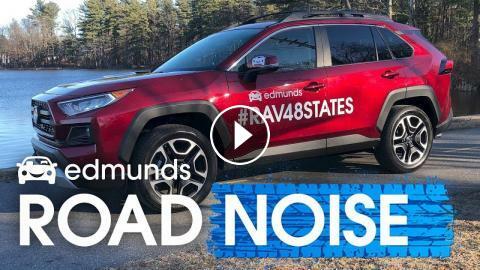 ﻿ Edmunds RoadNoise | #RAV48states, Chevy Silverado HD, Audi e-tron, Porsche Macan and More! On this week's RoadNoise, wcan we drive a RAV4 through all 48 states in just 7 days? We get behind the wheel of the Audi e-tron and Porsche Macan, take a look at the all new Silverado Heavy Duty, and give you tips and tricks for avoiding the worst of depreciation.